A cluttered wardrobe is the equivalent of sheer horror for any true fashionista. You wake up scratching your head with no idea where that little black dress went, or if your favourite denim jeans are clean or dirty. 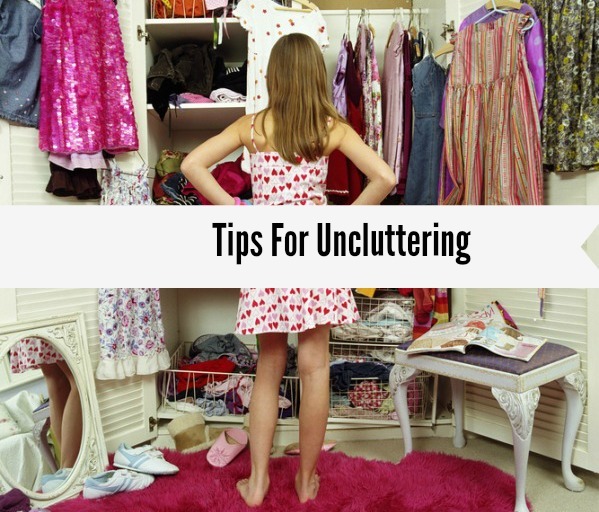 We all know that between those late mornings when you are rushing to get dressed, to those lazy weeks when you simply do not want to deal with it, closets clutter easily. Today, we will highlight 6 tips to help you restore that fierce wardrobe of yours. Do not be a hoarder. Haven't worn it in a year? Toss it. This is pretty much the hardest step to take but it is the first one that needs to be done. We all do it. We tell ourselves that we will lose those extra 15 lbs. this year, or that we will go on a fad diet, or that the trend will come back, but instead the too-small or unused item ends up collecting dust and taking up precious closet space. Don't be that kind of fashionista! ~ What colour(s) do I wear most often? ~ What is my favourite piece in my closet? ~ What items can I not live without? ~ What items are multifunctional? Try to pick 3-4 items that sum up your style. These will be your focal point items, and the rest of your wardrobe will enhance these items. Boiling it down to the basics is the key to decluttering any wardrobe. The beauty of the basics is that they are not recognisable when worn repeatedly. What this suggests is that you don't need many of them. Basics are items such as tanks, tees, plain jackets, versatile shoes, and plain bottoms. Basics are normally neutrals. Some fashionistas gravitate towards black, some tan, and some navy or grey. Vogue magazine highlights a few closet staples that get better with time. Accessories are often neglected as wardrobe staples, but they are truly life savers when put to use. Necklaces, headbands, and scarves are all perfect accents that will spice up any wardrobe basics. Be sure to be intentional when shopping for your accessories. They should complement your basics and focal point pieces. You know it's bad when you have lost a jacket or a pair of jeans. Organisation is crucial when it comes to understanding your wardrobe. The best way to visually organise your wardrobe would be to put like colours together, as well as like items. This way, when you are assessing what you should wear, you can easily see your options. In retail, I am sure you have heard of back stock. This is sort of a way for you to continue your hoarding. Back stock in closet organisation simply means to put certain items back that you only won't necessarily wear too often. This is especially applicable if you live in an environment where the seasons are starkly different. In the colder months, back stock your summer clothing, and vice versa. I sooooo need to get round to doing this! Like the idea of Back stock, I just converted my loft, so going to create space for this! You know I have a very expensive scarf now so really ought to accessorize better. I really need to de-clutter. My boyfriend keeps moaning he doesn't have any space in our wardrobe because I use it all. I jut don't have the heart to throw anything away! I'm quite organised but just need more space in my flat. Some great tips though! I am the queen of decluttering - I keep being told there will be nothing left here lol!! I had to do major decluttering when I moved houses recently and it has been such a liberating feeling! I gave all the non used clothes to charity and now I'm left with only things that I use!! My wardrobe is bursting at the seams I definitely need to have a go at decluttering! i need a big de-clutter - half my problem is that most of my clothes are black, so finding the right black thing is always tricky! I really need to declutter mine, I'm sure some of it hasn't seen the light of day in a long time. My wardrobe is very minimal, I can't stand cutter! I so need to do this. I am starting on a cleaning regime in January! I definitely need a clear out, I'm so bad at throwing away things I don't wear haha! I really do need to take your advise I have stuff in my wardrobe from 20 years ago. I really need to get sorting my stuff....in fact I think I'm going to try and get on top of it over the Christmas hols! Excellent tips. I really need to organise all the wardrobes around the house and make some space!